The rain in the beginning of October was followed by births throughout the area. Guests have been lucky to see the young of topi antelopes, elephants, impalas, buffalos, warthogs, lions, several hyenas and even leopards. The most special sightings have been of the two leopard cubs near Olare Orok – just 20 minutes from camp. The cubs are about two months old and are incredibly playful often times climbing up trees or climbing all over their mom. 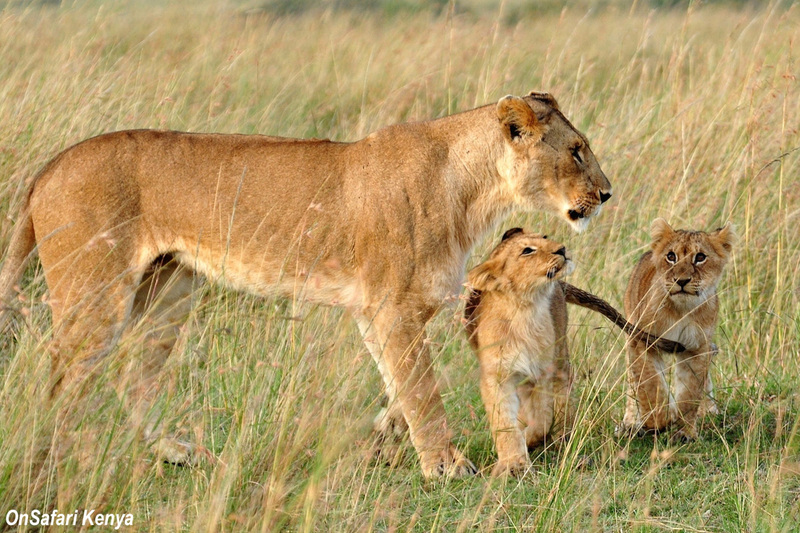 Last week, guests were lucky enough to see the mother moving the cubs across the plains. They were able to follow the three for over 45 minutes as they made their way to their new home. Guests at the beginning of the month were also treated to stumbling upon a lioness with her three cubs just less than a week old. A bushbuck also gave birth in camp a few weeks ago and the mother and calf can often be spotted grazing in the bushes.